At Monarch Glass Studio, we're ready to take on any project. 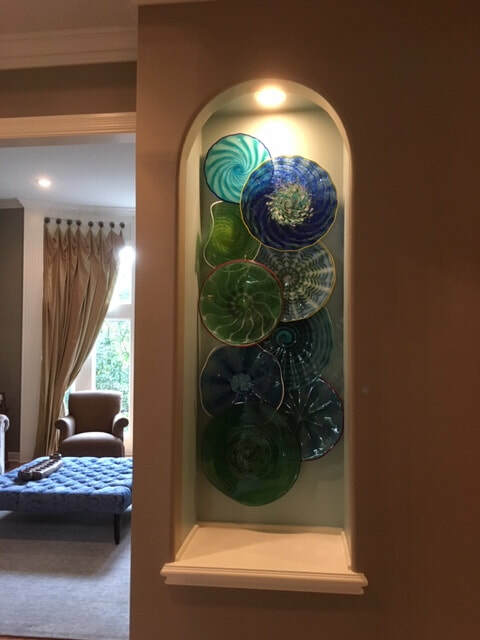 Whether it is reproduction glass shades for lighting or making a statement installation for an entryway in your home, we would love to sit down and discuss what we can do for you. 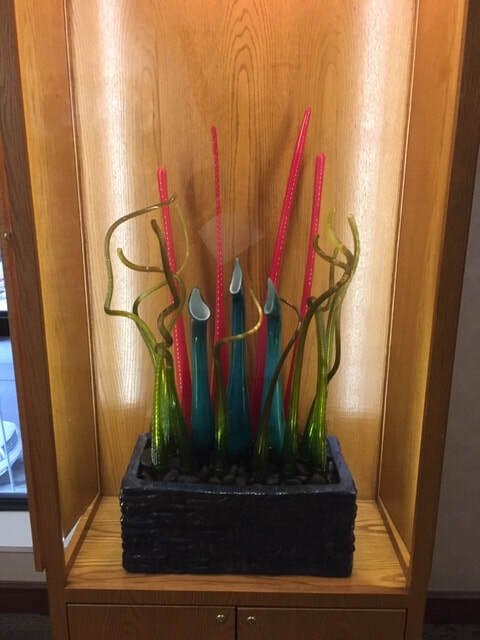 Commissioned for the Truman Medical Center Collection in Kansas City, Missouri. We're all artists at Monarch, and we really appreciate working with other artists. Pictured above is installation artist, Rina Banerjee, who we worked with for nearly two weeks to create an installation for Kansas City's biennial Open Spaces. Any artist wishing to have glass made for their project can use our facilities and team to get the work needed for the project. We'll work piece by piece, one on one, or in a more production mode dependent on the work needed. 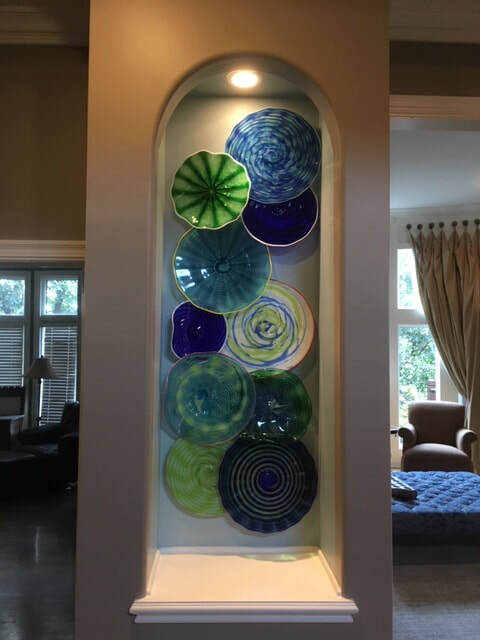 Email tyler@monarchglassstudio.com to let us know about your project and we'll see what we can do. 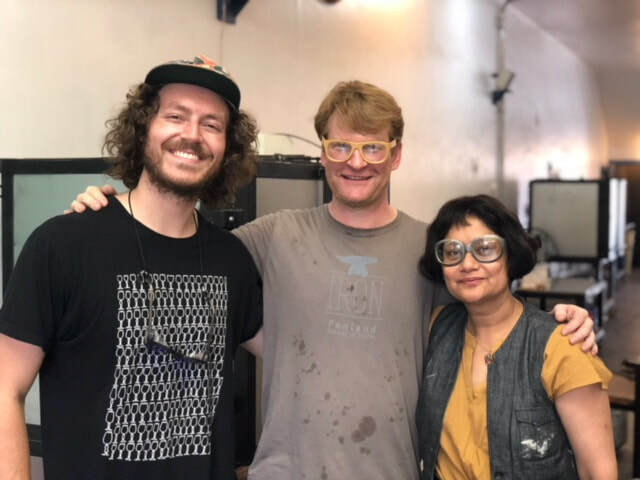 Work made for Rina Banerjee's Open Spaces Installation had Monarch Glass Studio deforming factory made bottles and creating new pieces utilizing antique press-ware.